Some baseball manager are tacticians, whereas others are ego-juggling players’ coaches. Some skippers turned to managing after successful baseball careers, whereas others never even made the major league. There is no formula for what makes a successful baseball manager. We can, however, analyze results and determine what baseball managers have been the most successful. Read on for our list of the ten greatest baseball managers of all-time. Billy Martin’s first year as a big league manager pretty much encapsulated his entire managerial career. In 1969 he led the Minnesota Twins, who had had a losing record in 1968, to ninety-seven wins and a division. Nevertheless Martin was fired after the seasons for his behavior, which included a high profile fistfight with his ace pitcher Dave Boswell. 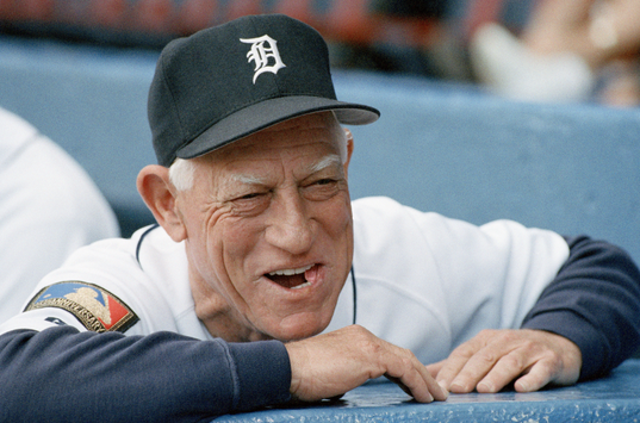 Martin would go on to coach parts of eighteen seasons with the Tigers, As and most prominently the Yankees, who hired and fired him five times over a fourteen year period. Almost all of Martin’s managerial stints were the same: he quickly made the team better and then quickly wore out his welcome by fighting — often physically — with his players, ownership and the odd marshmallow salesman. Martin, who battled alcohol addiction, died on Christmas Day of 1989 as a passenger in a one car crash. The sixty-one year old had been preparing to managing the Yankees for a sixth time when he passed away. Record: 1253 and 1013, .553 pct. four division titles, two pennants, one World Series title. Between 1949 and 1960 Casey Stengel managed the New York Yankees to seven World Series titles and ten pennants. It is without a doubt the greatest managerial run in the history of baseball. So why is Stengel only ninth on this list? Well, for one, he was blessed with a steady parade of Hall of Famers such as Joe DiMaggio, Yogi Berra, Mickey Mantle and Whitey Ford. And he operated in a pre free-agency era, meaning his roster was pretty set from year to year. Then there is the matter of the other twelve years Stengel spent as manager on teams other than the Yankees. The “Old Professor” only posted one winning record during thosen seasons managing the Brooklyn Dodgers, Boston Braves and the New York Mets. Some of Stengel’s Mets teams were among the worst in baseball history. Stengel was clearly a great manager with great players, but he isn’t higher on this list because he consistently failed to elevate mediocre players out of their mediocrity. Record:1,905 and 1,842, .508 pct. ten pennants, seven World Series titles. Known for his love of the three run home run and his contentious relationship with umpires, all seventeen years of Earl Weaver’s managerial career were spent with the Baltimore Orioles. He was only thirty-seven when he took over the Birds in 1968 and then led them to three straight World Series between ‘69 and ‘71, winning the ‘70 Fall Classic. During his first stint with the Orioles, which ended in 1982, Weaver never had a losing season and bested a hundred wins five times in fifteen years. He was also ejected from ninety-eight games, including three times getting tossed from both frames of a doubleheader. Weaver retired in 1982 after losing out an America East title in a one-game play off. He was brought back to the Orioles’ mid season of 1985 and saw some initial success, however he posted his only ever losing season in 1986 and retired for good after that. While Weaver was as fine a regular season manager as there’s ever been, but his legacy is somewhat held back by his postseason record and the fact that the Orioles won a World Series two years before he took over the team and another the year after he retired the first time. Record: 1,480 and 1,060 .583 pct. six division titles, four pennants, one World Series title. After a cup of coffee as a Major League second baseman, Anderson transitioned to minor ;eague manager at age 30. In 1970, the thirty-six year old was named skipper of the Cincinnati Reds. “Sparky Who?” was the local paper’s reaction to the more. They would learn soon enough as Anderson led to the Reds to 102 wins and a National League Pennant in his first year. Three more pennants and World Series titles in 1975 and 1976 would follow as Anderson’s “Big Red Machine” would dominant baseball throughout the seventies. However Anderson was fired after the 1979 season despite having finished 92 and 78. He immediately got a new job with the Detroit Tigers and declared he would led the young team to World Series title within five years and make the Reds pay for letting him go. It actually took Anderson six years, but the 1984 Tigers were a team for the ages, starting the season 35-5 on their way to a 104 win season and a world championship. The Tigers would remain contenders for most of the eighties.But the last seven of Anderson seventeen years in Detroit weren’t particularly good and detract somewhat from his otherwise sterling resume. Record: 2194 and 1834, .545 pct seven division titles, five pennants, three World Series titles. Before he found Joe Torre in 1996, George Steinbrenner went through managers like Elizabeth Taylor went through husbands. In fact, when Torre was hired by the Yankees the over/under on his tenure had to somewhere around one season, given Steinbrenner’s legendary impatience and Torre’s fourteen year record of fairly average results as skipper of the Mets, Braves and Cardinals. But Torre, a former league MVP with a laid back style, clicked with the Yankees’s star-studded roster and he won a World Series in his first season. He would add World Series wins in 1998,1999 and 2000. Torre never missed the playoffs during his twelve years with the Yankees. In fact, he only won less than ninety four regular seasons games twice. (And won the World Series both those years!) Steinbrenner refused to renew Toree’s contract after the 2007 season and seven years without a title so Torre moved onto to the Dodgers. In Los Angeles he extended his personal post-season streak to fourteen straight years by leading his new team to two straight division titles. However he couldn’t get the Dodgers to the World Series either, and Torre retired after a 80 and 82 season in 2010, handing the reigns to his protege Don Mattingly. Record: 2326 and 1997, .538 pct. thirteen division titles, six pennants, four World Series titles. 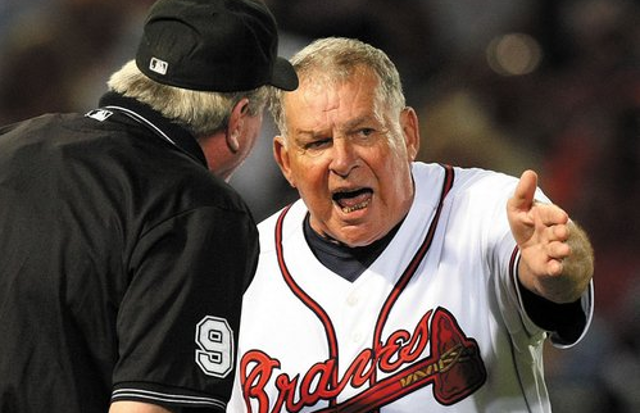 During Bobby Cox’s first managerial stint with the Braves, which began in 1978, he turned what had been the worst team in the National League into a competitive club. Nevertheless he was fired by team owner Ted Turner in 1981. He picked up immediately with the Toronto Blue Jays and did another quick turnaround job, this time culminating in a 99 win season and the franchise’s first ever postseason appearance in 1985. A tough playoff loss burned Cox out on managing and he returned to the Braves as the club’s GM in 1986. After struggling to find the right manager for the club, Cox inserted himself in the position in 1990 and the rest is history, as the Braves rattled off a record fourteen straight division titles. The knock on Cox, of course, will always be that he only won one World Series and benefited greatly from an amazing pitching staff. However such consistency during the free-agent age — and with a mid-market team like the Braves — cannot be ignored. Cox, a four time Manager of the Year winner, retired in 2010 after a ninety-one win season. Record: 2,504 and 2,001 .556 pct. fifteen division titles, five pennants one World Series title. Record: 2,040 and 1,613, .558 pct. one division title, seven pennants, four World Series titles. 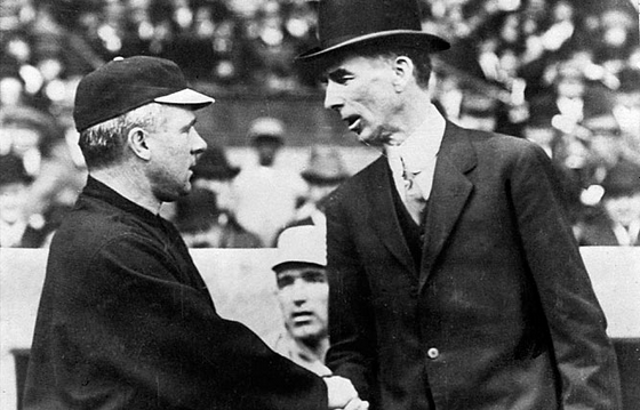 Although it has been long overshadowed by his managerial career, McGraw was one of the better players of the deadball era, known for his speed on the basepaths and questionable tactics when the umpire wasn’t looking. (In fact, it was largely because of McGraw that baseball moved from one ump to four.) He was also also always looking for an edge as a manager and among his innovation were using relief pitchers as closers in “save” situations. After three fairly successful seasons as player manager for the Baltimore Orioles, McGraw joined the New York Giants as a full time manager in 1903 and would only have three losing seasons over the next thirty seasons. He would also ten pennant, three World Series titles and would become part owner of the club in 1919. Known to be a players’ coach, despite a sometimes gruff exterior, McGraw was no friend of umpires and was ejected 131 times. He finished his career with 2,763 wins, a figure only eclipsed by contemporary Connie Mack. However Mack, who coached for 53 years, actually had a losing record for his career. Record: 2,763-1,948 (.586), ten pennants, three World Series titles. Tony La Russa has always been a smug fellow, with his sunglasses at night and his law degree. But he’s also been a helluva a manger, from when the Chicago White Sox made him their skipper as a thirty-four year old in 1979 to when he retired after his St. Louis Cardinals won the World Series in 2011. La Russa spent nine years with the White Sox, turning the struggling franchise to contenders and 1983 division winners. He joined the As in the middle of the 1986 season and led Oakland to three straight World Series between 1988 and 1990, taking the the 1989 title. It was with Oakland that his managerial style, including the use of platoons and a highly specialized bullpen, began to come to the forefront. After a decade in Oakland he moved to St. Louis and enjoyed an even more successful run. La Russa won seven division titles and two World Series with the Redbirds and always seemed to maximize his team’s talent. He retired with the third most wins in Major League baseball history. Record: 2,728 and 2,365 .536 pct., twelve division titles, six pennants, three World Series titles. The knock on Joe McCarthy, who has the best regular season and postseason winning percentage in major league history, is that he was a “push button” manager who was weak on baseball strategy and benefited from all the all the great players he skippered. And it’s true that during sixteen years he coached the Yankees, between 1931 and 1946, McGraw was able to write names such as Ruth, Gehrig and DiMaggio into his lineup card. But “Marse Joe” also won eight pennants and seven championships during that time period and seamless transitioned the Bronx Bombers from the Ruth era to the Gehrig era to the DiMaggio era. 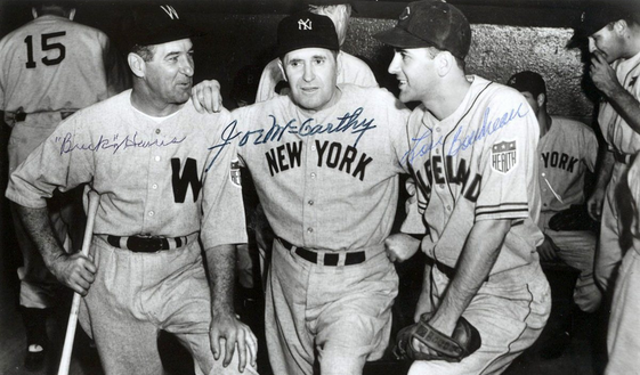 Plus McCarthy was no slouch in his other two managerial stops, snagging a pennant and posting a .579 winning percentage during his five seasons with the Cubs, which preceded his Yankee run, and winning 96 games in each of his two full seasons with the Red Sox. Like any competition, baseball is ultimately about results and no skipper in Major League history has achieved the results McCarthy was able to. That is why he was the greatest baseball manager of all-time. Record: 2,125 and 1,333 .615 pct. nine pennants, seven World Series titles.